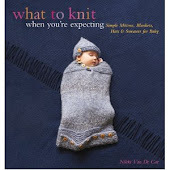 What To Knit When You're Expecting: Time To Call The Blog Something Else? Time To Call The Blog Something Else? Does one change the name of the blog when it stops making any sense at all? I'm not expecting--expectations have been fulfilled. I'm also, let's face it, not knitting. I don't mean I'm not knitting in the sense that I haven't picked up the needles in ages--I have. I knit almost every day. But I HATE IT. I'm making a Sheldon, because Sheldons are wonderful, and this Sheldon is going to a very good home indeed, and Sheldons are worth all the trouble really, but oh lordy do I hate making them. This particular Sheldon is especially difficult because my attention span consists of four minutes here or there during naps between laundry/dishes/all the other millions of things that need to get done, and so when I have a moment to sit down without somebody grabbing at me I grab at Sheldon. And the thing about Sheldon is that the directions, though very clear and specific, are not something you can just sort of wing and pay only a little attention to. I have knit Sheldon's head four times. I'm not even close to being done. Dave was asking me about going to Rhinebeck, and I thought about it, and then told him to forget it. My only reasons for going, I realized, were to bring children to sheep, and worthy a goal as that is, I still haven't even touched the stuff I got delivered to me from last year's festival, and given my feelings about knitting these days, that's not likely to change anytime soon. This was a realization that made me pretty sad, I have to say. 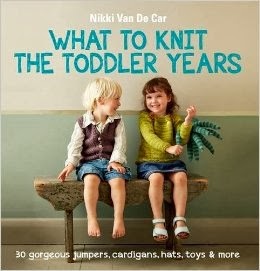 As those who read the blog pre-baby know, I used to knit a lot. And I liked it a lot. I spent time sitting around thinking about knitting. Now the thought of knitting just makes me weary. Except. I had what may have been a breakthrough this morning. I found something I really want to knit. In fact, I found something I really want to design. And I want to get started right this minute. (after I finish Sheldon--ugh). Again, design requires concentration and time that I do not have, so I'm not saying anything else here, except--we're not renaming the blog just yet. That is one of the most adorable pics I have ever seen in my entire life. Honestly. What a beautiful, happy girl! I know all too well about how hobbies and interests can change after having a baby. I used to do lots of things, like crochet (Yes, for a brief period time, I crocheted. Poorly). And write. And read. And sleep. And drink. And blow-dry my hair. And admire shoes in fashion magazines. And daydream about Bali. And buy garments that were not machine washable. And consider a career in teaching. These days I just try to remember to breathe and not wear my shirts inside out. In public, at least. Glad you're not giving up and waiting for that design to show up. When I started a blog, I planned on posting a picture a day. Thankfully, I titled it "a picture a day...or whenever I feel like it". Guilt be gone! I have a 3 1/2 year old and a 1 year old and a 2 hour commute. I do whatever I feel like in the quiet moments. It was hard to learn to not obligate myself because I just felt bad if I didn't get something done "on time". I don't like doing fun stuff when it's not fun anymore. I'm glad you're inspired again! I don't know you...but I swear we're sharing the same brain. I've been reading and enjoying your blog for a few months while I was pregnant, just sitting and knitting and thinking about how much time I'd find even with a new baby. Now, a month after my baby girl arrived I also, hate knitting! Well, I hate the frustration about only having half a brain, and half the time I wish I had. If nothing else, do keep blogging, I appreciate the trailblazing you're doing for me! Thank you everybody for the encouragement. I have semi-abandoned Sheldon (maybe he's the problem! High-maintenance little turtle!) and decided to let the knitting winds blow whilst they can. I have also put product in my hair and am wearing perfume. And am leaving the house. I know--let's not get carried away here. Next thing you know, we all might start shaving our legs or something. Wowa cowboy, shave our legs, lets not get carried away here!! Hee, hee! I love your comment, Laura, that just about sums up how all of us new Mums feel!! !